For a novelist, the route to publication is frequently strange and even more frequently frustrating. For me, one of those frustrations has been really frustrating because I get the distinct sense that I shouldn’t even feel that way. The publisher I’m with (Samhain Publishing) is primarily an ebook publisher, though they do send every book over a certain wordcount to print. Mine falls into this category, which is fun, but what I’ve been finding less fun is the fact that the print edition of a book follows the digital edition by several months. So I have to wait to hold my book. And it’s driving me crazy. I was thinking about this the other day, about why it’s driving me crazy, and I realized something kind of disturbing: My own book will not feel real to me until I can hold it in my hands. This is digital-dualism; more, I’m privileging the physical over the digital; more, this is regarding my own work, something I created. I can’t seem to talk myself out of feeling this way, even though I know I should know better. I get the sense that a lot of writers feel this way, even the ones who publish primarily through digital means. One of the appeals that scam vanity publishers like PublishAmerica milk for all they’re worth is the idea of having your work in print, something that you can give people and sign for them, isn’t that exciting, wouldn’t you pay us thousands of dollars for that. For many of us, an ebook just doesn’t feel quite as real as a trade paperback, though most of us couldn’t begin to articulate why this is so. A lot of it is probably related to traditional understandings of what it means to be published at all; for the longest time, getting your book into print wasn’t only the preferred way to be published but the only way to be published, and I think that idea is still highly persistent, even with big New York publishers in trouble and Barnes & Nobles closing up shop everywhere. Ebooks are still regarded in a lot of circles as the oddball newbie, sort of interesting in their way and undoubtedly profitable at times but still not really worth taking seriously (though that’s changing). Print is legitimate. Print is For Real Published. Some of it is also probably the idea of having passed through stricter gatekeepers. There are at least as many ebook publishers now as print publishers – though many, like Samhain, also put books into print – and the impression among some is that it’s much easier to get a contract from ebook publishers than from big print publishers. To a degree, this is true, and a great deal of that is likely to do with the low production and distribution costs of ebooks; a publisher can quite simply release a lot more of them, and so some publishers might be inclined to be less selective regarding the manuscripts they acquire. Being in print is more prestigious; it carries the implication that your book is somehow better for having successfully negotiated the transition from digital to physical. But these are mostly rational reasons, and I don’t think that they account for the entirety of what I and a lot of other writers feel. This feeling is instinctive, gut-level; it can drive us without us being explicitly aware of it. It can even drive us away from things that might be hugely beneficial to us. When I was looking for a publisher, I deliberately discounted an ebook-only imprint of a much larger and very well established publishing house. They probably would have been a good bet, financially. They probably would have done right by me and my co-author. But I wanted print. 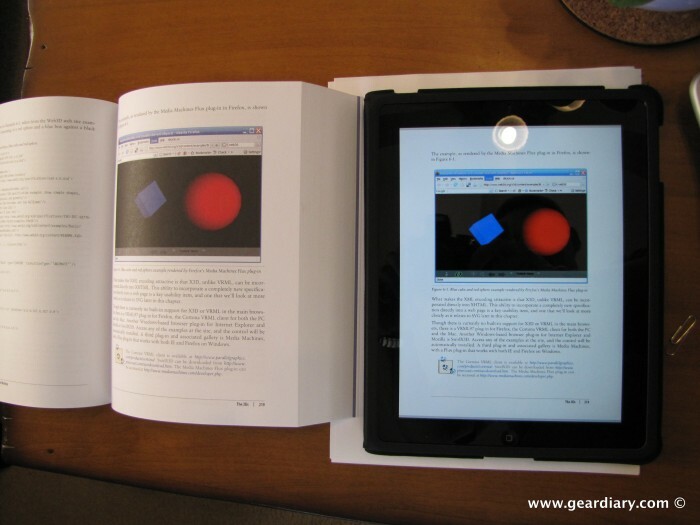 Goddammit, ebooks aren’t as real. I think this highlights something interesting about not only the deep cultural assumptions we still make about the nature of reality and about the relationship of the digital and physical, but also about how we as artists understand our creations to accumulate value. When I write a manuscript, it should be real to me; I brought it into being, shaped and manipulated it until I was happy with it, put it into the words that I chose. And yet it’s not really real to me until someone has paid me money to publish it, and it’s still not as real as it could be until it’s in physical, tactile form. A lot of this, again, is about external validation, but most of it is how I personally navigate what I perceive as different orders of real. Not necessarily physical/digital and real/unreal, but rather a spectrum along which this thing that I made moves. But most of all, I think this highlights the ways in which digital dualist assumptions and understandings run deep, and don’t just confine themselves to intellect and rational discussion. Digital dualism is something we feel, and as such it can persist in some surprising ways, even when – intellectually – it’s an idea that I don’t buy. I don’t want to want my book in print this badly. But I do. It shouldn’t matter this much, but it does. Either way, I’m still looking forward to holding the damn thing. Maybe your emotions are more trustworthy than you assume. Tortured attempts to define and then dismiss "digital dualism" don't erase the very real difference between the way we experience the physical and the way we experience the virtual. Maybe it's because when you have an ebook on a device, you can just delete that ebook, or switch to a different app, and what you wrote is gone, but a physical book will always have your words printed on its pages, and will never display any other. It's more permanent.